Could a Jawa team work well for a level 32 player? Idk Why, but I’m rather fond of those little creatures and if it’s worthwhile I want a team of them. I hardly see anyone else with them, is that because it takes too long to farm jawas or because they aren’t a powerful enough team? Was mostly a mod farm requisite team. However that is all going away soon supposedly. As in all mod farms no longer gated behind a particular faction. Certain raid teams had an “X” Jawa on them, but honestly if you keep Sith Raid farms in mind, you’ll rarely need anything else for lesser raids. I.E. JRT, Embo, GMY, and Nightsisters. Those 4 squads and their interchangeable parts can pretty much decimate any PvE, and be competitive elsewhere in the game too with very little toon shuffling. With all that said, I would just stick to the norm and follow the path others have built. All the while simultaneously accumulating a few Scoundrels for Credit Heist. Secondly a couple other Jedi for GMY unlock. Lastly followed by Sith Raid squad toons, and having those puzzle pieces eventually coming together. @Seb_Kryze_084 I have a fully 7 star jawa team, gear 7, level 70 iirc (I know... that's a lot of 7's. lol ) but after 3 starring the mod challenge requiring them, I've done absolutely nothing with them. They're really cool, but don't have a real use for me ATM. That's just my 2¢ though. Want to salvage droids and repair Roombas? Jawas are for you! Right now, no, jawas are not a good team. They are not powerful enough and do not unlock anything but a mod challenge currently. I have jawas, but only use them in territory wars if the other side places really bad droids on defense. 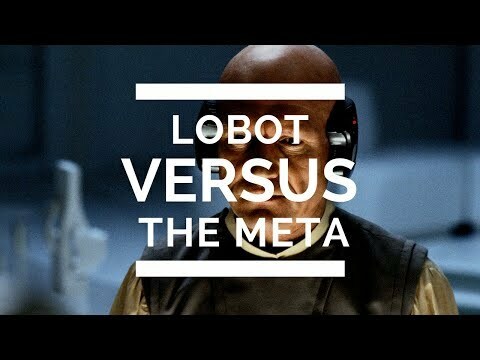 When droids were an arena-worthy meta, Jawa Engineer and Chief Nebit were paired with HK, IG 88 and IG 86, but it has been a long time since that could be successfully run in the arena. Most here can probably list off at least 30 toons to farm before jawas for various reasons, especially arena, which is a big source of crystals. This. If you want to do it for kicks then do it. But don't expect much/any success from the act.